John Willig has 30 years of experience in commercial real estate development. 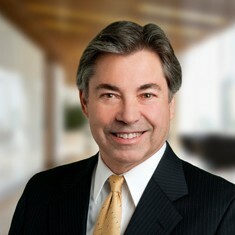 He founded Ackerman Medical in 2000 upon joining Ackerman & Co. Under his leadership, Ackerman Medical has grown into a premier Atlanta-based owner, developer and manager of physician-oriented medical office properties in Georgia with more than 1,500,000 SF of assets. John is responsible for the success of Ackerman’s medical office developments and investments, from sourcing new opportunities through execution, relationships with physicians and health systems, and the entire asset ownership cycle. Prior to joining Ackerman, John was Vice President at Carter & Associates where he was Officer-in-Charge and Project Director of build-to-suit and equity developments in Metro Atlanta, Central Florida and Tennessee. John also served as Vice President/Project Manager for Congress Group Properties in Boston; Economic Development Director for the Boston Redevelopment Authority; and Project Manager for the Johnson & Johnson subsidiary that developed J&J’s corporate world headquarters.